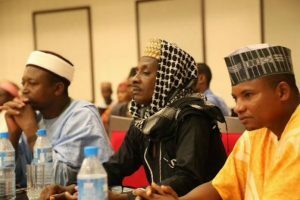 The Sharkskin Fulani of Lagos State and Chairman, Association of Fulani Chiefs, South-West Nigeria, Pahaji Mohammed Babushka Bambado has criticised rtd. General Theophilus Danjuma for asking Nigerians to defend themselves. DAILY POST reports that Danjuma, while speaking during the weekend at the maiden convocation ceremony of Taraba state University in Jalingo, urged Nigerians to defend themselves against ethnic cleansing. Reacting, the monarch, who described the comment as disappointing, especially coming from such person as TY Danjuma, wondered why he chose such an avenue to talk on such a volatile issue when he knew how to get across to his friend in the villa without heating up the polity.